AIP partners with Aspirus Wausau Hospital and other private groups to offer discounted rates on breast biopsy procedures known as the Pink Shield Program. The women in this Program are those who have been accepted into the Wisconsin Well Women's Program (WWWP), but due to cuts, the number of women accepted in the WWWP has drastically reduced. 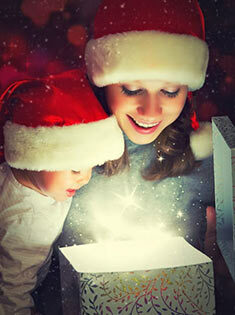 The Pink Shield Program is a grant funded program through Susan G. Komen that helps offset those costs for these women. AIP accepts the reimbursement that WWWP would have paid (for the initial biopsy only). This grant begins in April of each year, and AIP has been a partner since 2009. In 2018, AIP made a donation to the Women's Community and to the Aspirus Woman's Golf Classic to help and empower those who are abused and assaulted. Together we can make a difference. 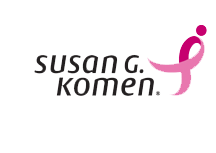 AIP is a proud sponsor of the Susan G. Komen Race for the Cure which raises funds and awareness for the breast cancer movement. AIP staff contributed to the fight against breast cancer by participating in their first race in 2014. AIP is a proud sponsor of Wausau Conservatory of Music since 2010. AIP is a proud sponsor of The Performing Arts Foundation since 2006. AIP is a proud sponsor of the Festival of Trees since 2007 to help raise funds for people in our community during their end-of-life journey. AIP staff has participated in the Ghidorzi Green & Clean since 2016 which is Wausau's annual community-wide cleanup to free our beautiful landscape of litter and debris. Since 2016, AIP has adopted a family in Central Wisconsin and bought items on their wish list to create a Christmas miracle. This event was sponsored by WDEZ, American Family Insurance Agent Jonnee Bauer, Catholic Charities of Central Wisconsin and St. Vincent de Paul Outreach. © 2019 Associates in Pathology, S.C. All rights reserved.